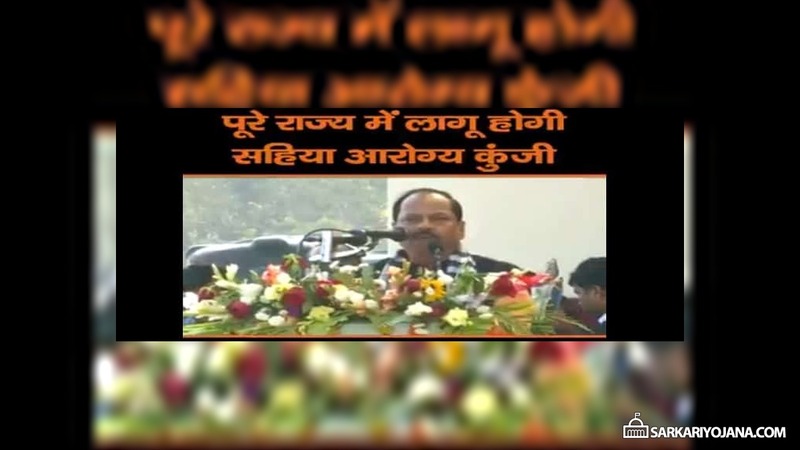 CM Raghubar Das has announced that the state govt. of Jharkhand will start Sahiya Arogya Kunji Yojana 2019-20. This aarogya kunji (medical kit) would be made available in all the villages to ensure proper health care services to all its citizens. Mukhyamantri Raghubar Das will include this arogya kunji for rural areas in the upcoming Jharkhand Budget 2019 – 2020 to be presented on 22 January. Jharkhand Sahiya Arogya Kunji Yojana 2019 is going to improve the healthcare facilities in the rural areas. This is a first of its kind initiative across the country in which poor and deprived people of the districts would get benefited. On 19 January 2019, CM has made this announcement in Chatra at a function for distribution of medical kits and mobile ambulance. CM has started this Sahya Arogya Kunji Scheme on 19 January and as a official mark, had given arogya kunji (medical kits) to 5 shiya each of Chatra and Latehar district. Mukhyamantri had reached at a function to start arogya kunji, bike ambulance and medical cube scheme. This is a new scheme which would enable people to avail better health services in villages. Now people would not have to run to the cities to get better treatment. With the help of these medical kits or aarogya kunji, sahiya would be able to provide better healthcare facilities to rural people. Previously, the state gov. has also launched the flagship health care scheme launched by PM narendra Modi namely, Ayushman Bharat – PM Jan Arogya Yojana. AB-PMJAY is the world’s largest scheme which provides free and cashless treatment upto Rs. 5 lakh to poor people. For Ayushman Bharat Yojana in Jharkhand, the state govt. has made a budgetary provision of Rs. 400 crore. Around 57 lakh families (out of total 68 lakh families) of the state are going to be benefited from this National Health Protection Scheme. The complete premium amount for this PM Jan Arogya Yojana in Jharkhand would be borne by the government. PM Rashtriya Swasthya Suraksha Mission or Ayushman Bharat Scheme covers all those people whose name appears in the SECC 2011 database. The state govt. of Jharkhand is working on the mission of ensuring Health For All with an objective to create New India by FY 2022.